Last Friday we discussed How Game of Thrones can deliver better business results. I couldn’t tell if the caller – a former vendor – was being sarcastic or not. He was thanking me for not renewing his (large) contract. “I appreciate you taking the time to call me directly to tell me the news. Of course we’re disappointed, but we’re confident you were objective in making the decision…. That conversation took place 36 months ago. Truth is, I think of it now more than ever as I’m often on the other end of the line. When you’re in Purchasing, people call you. When you run your own business… well, there’s a reason it’s called earning business. Sometimes it falls into your lap. But not as often as you’d like…. In June I received a call from an acquaintance requesting a quote on a small translation job. I put a lot of effort into the quote and priced it to win. As the months passed, a handful of my quizzical emails and voicemails went unreturned. Obviously I didn’t get the work. I just wanted the courtesy of understanding why. Last week the individual called me for some advice on a topic similar to the translation quote. “Hey… what happened with the translation quote I sent you in June? I never heard back.” I asked. That? Huh… we went with someone else. I don’t remember why. I could find out for you, if you’d like…. As the calendar year ends, contracts are expiring. New vendor selections are being made. Execs are planning layoffs and/or firings. Employees are going to take their bonuses and run. 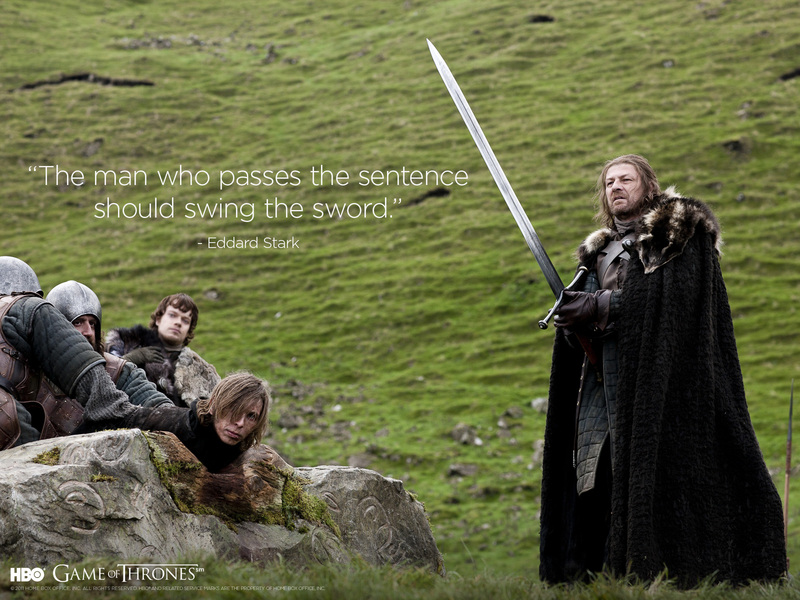 As the drama plays out, recall the words of Eddard Stark. When you skip out on the communication of uncomfortable news, you’re communicating a lot more than you know. ‹ How Game of Thrones can deliver better business results.